Welcome officers. The time has come to put all that you learned at the academy to good use. The area's islands are small and numerous. Maneuvering around them may prove difficult. The islands will make the Radio Operator's job easier, but they will also make it easier to run into the enemy submarine. Good luck. Welcome to the mining zone of the Eriatrides Trench. 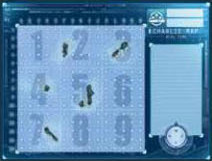 Your goal is to eliminate the enemy's submarine and clear the way for the deep digging team. The Radio Operator will have a harder time tracking the enemy in the more open environment. 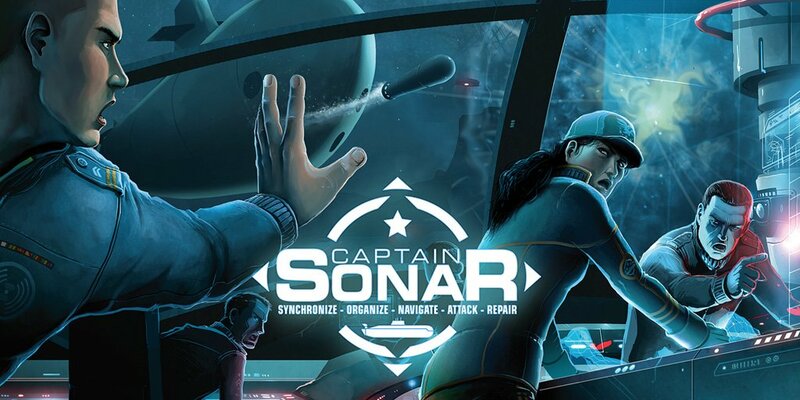 Drones and sonar will be particularly helpful in narrowing down the enemy's position. The open sea! After weeks of fierce combat and tremendous damage sustained on both sides, only two submarines remain operational. Eliminate the enemy to open the Road to the Great North, a submarine route that will lead you to oceanic plains trapped deep beneath the northern ice. This battle should be fought only by experienced teams. The small islands and open water will put the Radio Operator to the test. Effective use of mines will be invaluable, and well-timed use of stealth could mean the difference between survival and defeat. Welcome to the Great North. You have navigated the Road, and your next battle will be fought below fifteen feet of solid ice. 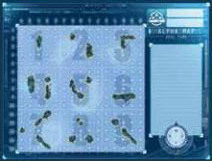 In addition to managing your submarine's systems, you will need perfect coordination when it comes time to surface. If a submarine surfaces in a space other than an open water hole, it immediately suffers 1 damage before resolving the effect of surfacing. 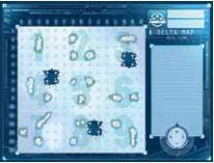 Near the Deep-sea Trench of Scylla, Quantis Corp. and Archer Inc. once fought a bitter battle for control of Archer's weapon depots. Amidst the wreckage of the undersea battlefield, some of Archer's explosive ordnance remains active. Your patrons have equipped you with a system designed to hack into Archer's weapon software. Once activated, it wall allow you to bypass Archer's security protocols and take control of the remaining mines. 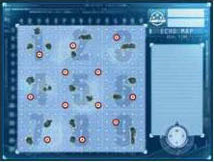 When all four spaces on the scenario system gauge are marked, the scenario system can be used to trigger an Archer mine. To do so, the Captain announces "TRIGGERING ARCHER MINE" and states the mine's location. A triggered Archer mine has the same outcome as a torpedo impact. After an Archer mine is triggered, the First Mate erases all marks on the scenario system gauge and both Captains cross out the mine on their sheets. A crossed out mine cannot be triggered.